I started feeding the BARF diet because of the dogs dying from the kibble recalls of 2007. It was then that I decided to feed T-Bone the BARF Diet exclusively. I love BARF and the boys love it too! 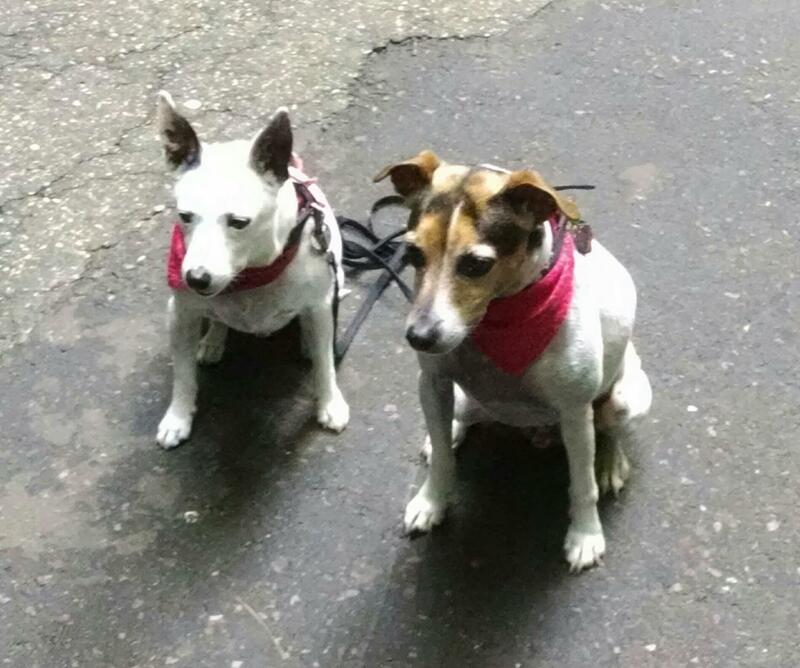 I don't have a Before and After testimony, for comparison, to talk about health improvements I have seen in my dogs. Why? When we first got Chloe and Heidi they were 8-weeks old and had been on kibble. They pretty much came with digestive issues, especially our Westie (Chloe). There was a lot of bloody diarrhea - both of them - and I had just lost another Westie to bloody diarrhea before then. 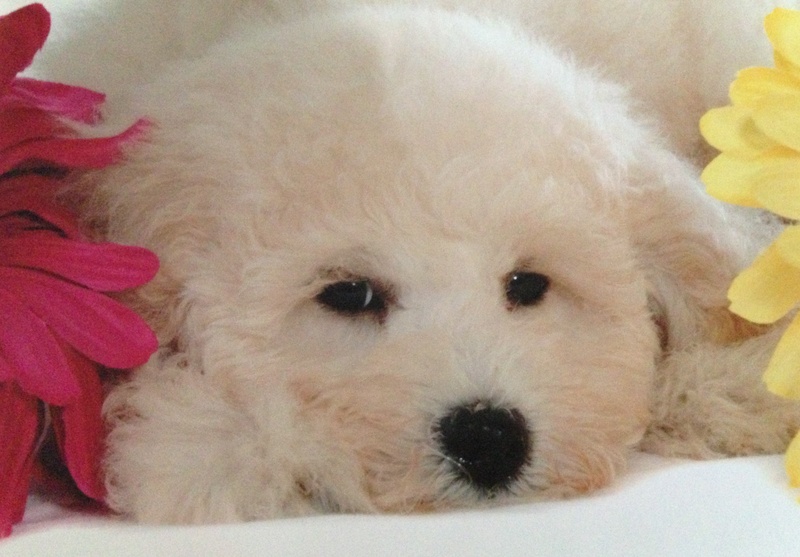 The thought of losing a brand new puppy to the same thing - I just couldn't stand it! We were looking online for what to do about bloody diarrhea and came across BARF. We thought it was a joke at first - BARF for dogs! But I got to reading about it and ordered some books to do my research. We decided that this might be the way to go. Boy, once they got on the BARF Diet, they were fine. The change was almost immediate! They haven't had any problems since, we don't need to go to the vet, their teeth have never been cleaned the four years they have been on BARF because they have never needed to be cleaned. They are just real healthy! I swear by raw foods. I've told a lot of people about it. You put a lot of care and quality into your product. I began using BARF in 2010 and have been extremely happy with the product and the excellent service. 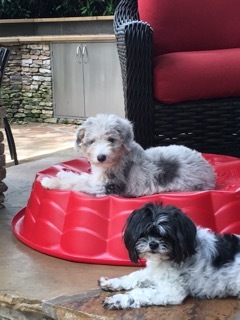 My Maltese Buddy and Cockapoo Mix Sissie are new the BARF World Family. They have transitioned over smoothly and look forward to their BARF Patties during meal time. They even behave very well when they know it's time to eat! I brought my dog to the Vet several times with no improvement. Very shortly after Jaime was on BARF she started to improve. Now she is acting like a puppy again. She has her high energy back and is playing with me again. I had forgotten what she was like. The only problem is that she loves the food so much I have to give her a little at a time so she will eat slower. I wish I had tried this food sooner. Iâve been feeding my guys BARF since I adopted them at 2 years of age. They are around 11 now and still look and act young. I attribute this to the BARF diet! Thanks BARF! I have a wonderful rescue hound named Rudy. 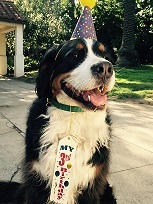 He has been the most amazing dog in every respect â with the exception of one thing. For quite some time, Rudy has suffered from a body odor problem. It didnât matter how much he was bathed or with what sweet smelling shampoo, Rudy would begin to stink within 24 hours of a bath. At Kellieâs urging, I switched Rudy to your lamb and salmon oil BARF diet. We left 3 weeks ago on a vacation with Rudy and his new diet in tow. After being on the diet for about a week not only did Rudyâs body odor problem disappear completely, but his coat showed substantial improvement becoming softer and silkier then ever. His energy level has been amazing as well. We are very happy clients! Since changing our dogs to the BARF diet, their weight normalized and they are much more satisfied with their food! Service is excellent, shipping is always on schedule, and communication is a top priority. Thank you BARF World! She would have mild seizures every 2 weeks or so. After being on BARF for a while, the seizures have been less frequent. We haven't had one in 6 months! They are BARFers for life. I know what artificial colors and flavors do to humans and what allergic reactions to these types of things can do to people so I began to think, "Why do we think dogs area immune to that stuff"? I started to look around at what was available at the stores for our pets and was not satisfied. I tried so many different diets before I decided to start making my pets their food myself. After nine months of making my pets food, I was exhausted. They were doing well - but I wasn't! So I decided to try the BARF Diet. I'm so glad that I did! It is so much easier and my dogs are all doing so well. Their stools are firm and they are very healthy. 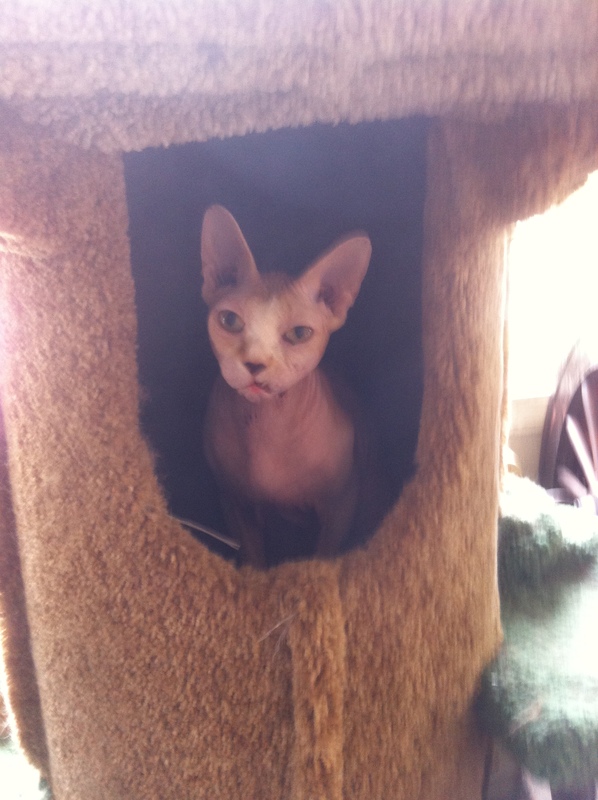 This is the story of a Sphynx cat who has had many challenges since day one. Just started on barf raw food today & loved it! 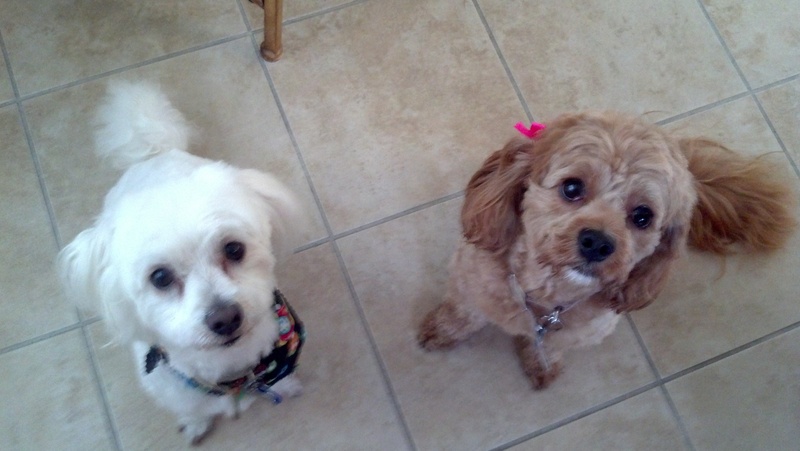 My King Spaniel Winston and Havanese Havi have been on the BARF Diet for 3 month's now. They have been doing wonderful. I can give credit to the BARF Diet for the improvement in their skin and coat. I even noticed an Havi's dry eyes improve! Buddy and Copper have slimmed down; Buddy has not had any seizures in the month since we started and everyone's breath is much better. I'm recommending you guys to every dog owner I know. I really appreciate the feedback - this is awesome customer service! I have noticed he drinks a lot less water, has less gas and is panting less. It's a pretty profound change now that I really consider all the variables. 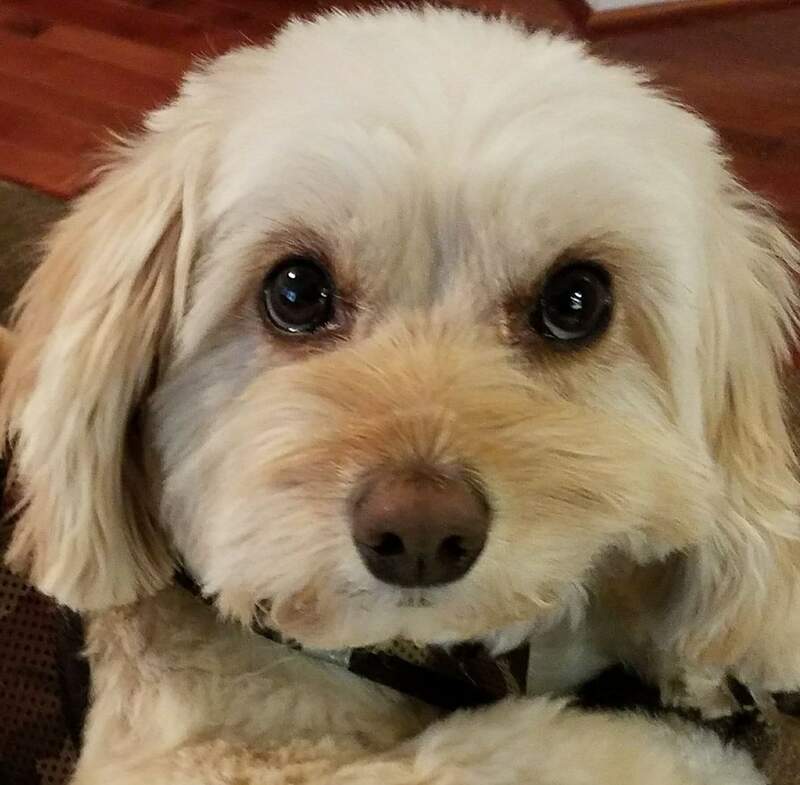 5 year old cockapoo who's had some minor skin sensitivity and stomach issues. When we switched over to BARF we were looking for something that would help him to transition into his golden years. He's LOVING BARF! He's got more energy than ever, his skin and coat are glowing! We also love the added bonus of having to pick up much less and smaller 'deposits' when we go for our walks. We are so grateful to have BARF as a part of Galileo's health plan! A few years ago we decided to start eating organically, reading every label to make sure we were eating the right things and not all the junk. Of course this meant that we were also trying to feed our dog the right food. We had searched for a while before we found a food that we thought was a good dog food, we also fed him scraps because we felt that was better than dog food. I was watching a program Natural Companions and they talked about BARF. I am so very glad that I found this. Now we have found a dog food I like giving to my dog. Our dog loves these patties. He can hear me get them out of the refrigerator and he comes on the run. He loves them so much he even licks the plate clean. His coat glistens and you can almost see your reflection. Thank you for a great dog food. We have been feeding Luly for over 4 years now. 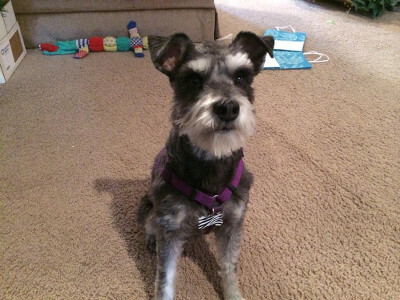 We switch her when she was diagnosed with malethic anemia. The medicine she had to take was hard on her body. Finally a friend recommended the BARF Diet for us. She is now a very healthy 12 year old girl and no longer is anemic. I really believe in good foods. Luly does not even get sick. Chubby and Tike are doing great! They both love meal time now, and poops are small. When we first started them on it we noticed a huge change in Tike. He seemed to get some "puppy energy" back. My husband and I also just feel better and safer about feeding it to them. With the AutoBARF Gold automatic shipping program, my Golden retriever Sam's food comes exactly when it needs to come. The BARF Diet patties are so easy to feed and he absolutely loves it! Maddy just celebrated her 3rd Birthday very happily after switching to BARF 3 months ago. She didn’t have any problem at all to make the switch from kibble to raw. Now when it is time to eat, she sprints up the stairs and sits in the kitchen just drooling until her BARF is served!!! The biggest change we have seen is in her skin and ears. 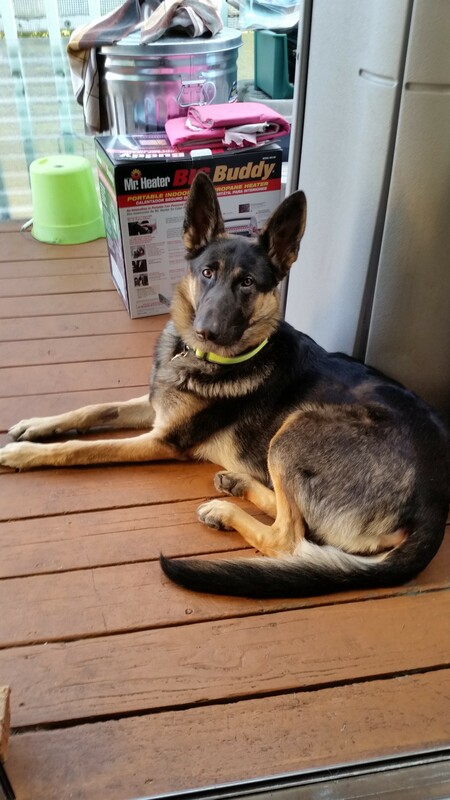 She no longer has a reoccurring open sore on her tummy and her ears continue to be healthy! Maddy definitely has more energy and spirit than ever before! She is the sweetest dog ever and now just a little bit sweeter since changing to BARF! Tinder had intestinal issues and it cleared up within 24 hours of being on the BARF Diet! His hair is silky and his teeth are white. 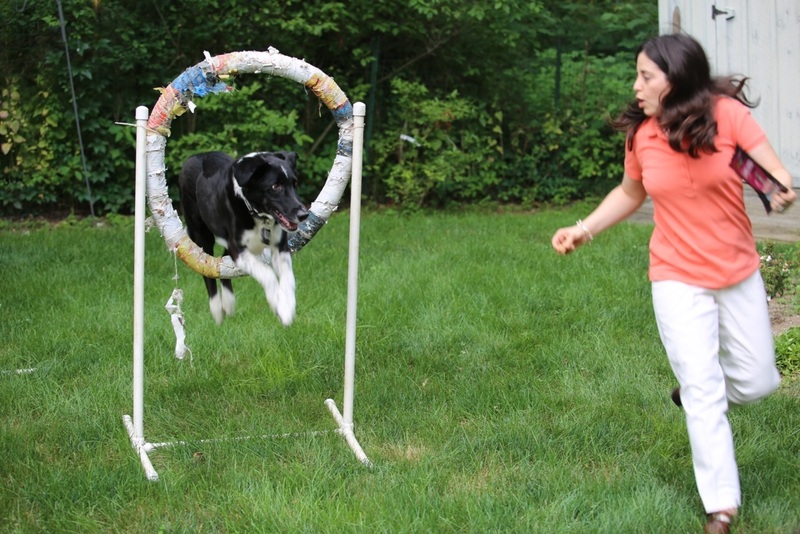 He competes regularly in Agility and nosework competitions. We get tons of compliments on how great he looks since he’s been on the BARF diet. 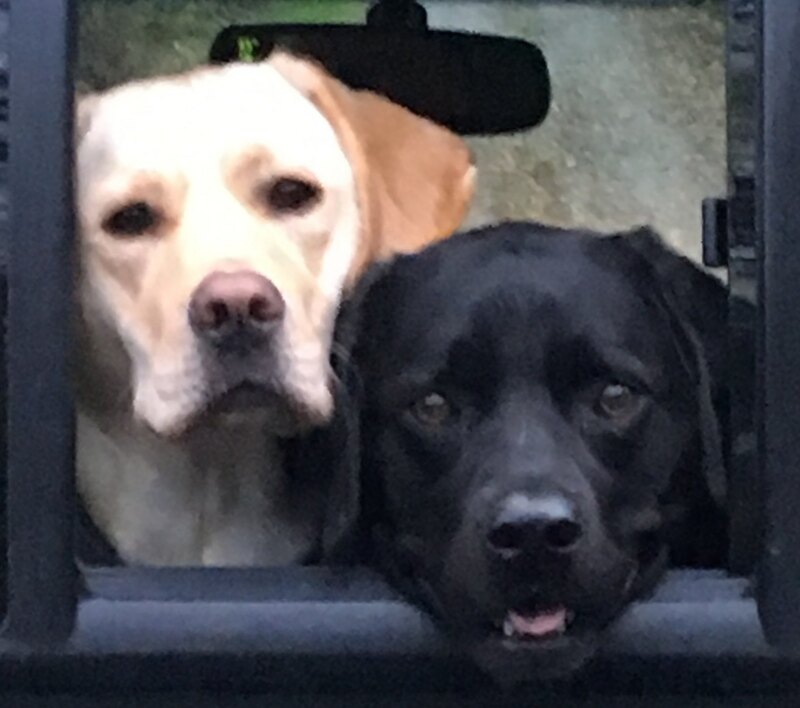 We have been so happy with how the 2 dogs we tried the diet with have looked and felt that we have now put a third dog on it. The dog we just put on the diet has had inflamed eyes since we have had her (she was a rescue several years ago). In the two weeks that she’s been on the diet we have noticed the whites of her eyes are white and not red! We highly recommend this food! The customer service has been great as well, super friendly and fast delivery ! My goldendoodle, Daisy recently started dog agility training and she's just flying through those hoops. It's hard to keep up with her! She's been on the BARF diet since she was a puppy. After my last two golden retrievers were diagnosed with cancer, I decided I had to do something to protect Daisy from the same fate. So I started feeding her the BARF Diet. She is doing so well on it that I'm now in the process of converting my Bengal cat, Kitty to the BARF Diet as well. I am a believer in raw food for my dogs. I try to feed my family only the healthiest, most natural foods possible, so why would I want any less for my dogs. I am so committed to feeding my dogs raw foods that initially, I was making it myself. The process is very labor intensive. I eventually began searching for a raw dog food that would meet my requirements of being domestic and truly raw. This is when I found BARF. Our retrievers look great, and no one has allergy issues. Their coats are beautiful, and nobody can believe that Buster, our 14 year old continues to look so good. Meet Diego- Our 1 1/2 year old German Shepherd. Our pup was suffering from severe spinal issues and our chiropractor recommended we try BARF. That was over 2 years ago and I will never go back! Our sweet boy is back to his old self and loving life. He also loves the food which is a plus! We love our BARF family so keep doing what you are doing- you make a difference to us! Thank you!" We are a Hall of Fame Excellent Kennel #27 with the Australian Shepard Club of America (ASCA) and AKC. I just brought our dachshund in to our groomer and she couldn't believe that he was 12 years old. Our vet can't believe it either. My husband and I totally attribute it to the diet. We have always had dogs and the previous ones have never been this healthy, their teeth have never been this clean and they have never been as active at this age. He is really active and has no problems at all. 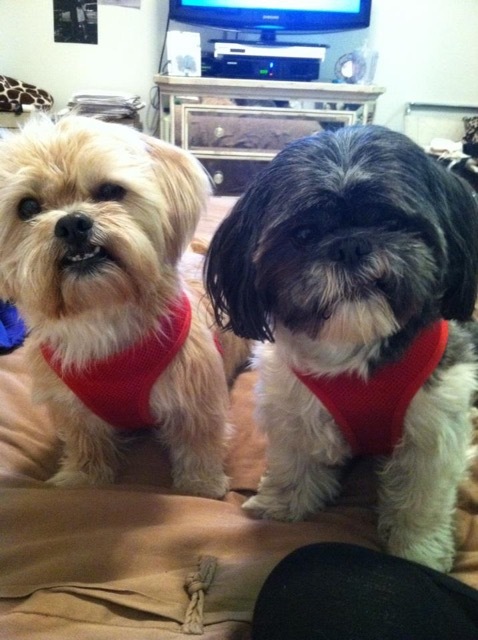 Thanks so much for always taking such good care of my two special babies, Booh & Atticus. As puppies, my breeder, who is a top breeder and shower of standard poodles, suggested that if I wanted the best health for my dogs, I should use Barfworld. Both of my guys have been raised from day one with only your great diet. They are healthy and strong and love to play at the lake and run all day. I never feed them anything else. If we travel, I find a way to take their food with me. I also wanted to say a special thank you to all of the personal care you all give. I love your personal notes and hands-on care and attention. After seven plus years as a devoted customer, Fedex messed up the delivery this week. All I had to do was to call you guys and Autumn fixed my order instantly and is following up to make sure everything is better than alright. You really run this business like the old days when businesses really cared. Thanks for the best food and the best customer support!!! Milly's been on the BARF Diet from the beginning and she's doing fine. We never go to the vet unless its for a shot. I'm so pleased with that. Both of my daughters have pets on BARF too. 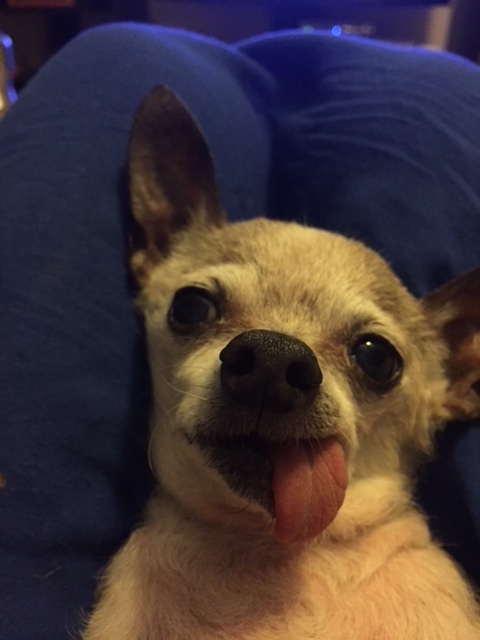 My Chihuahua Rocky is 11 years old and is new to the BARF Diet. In less than 30 days I have noticed some great results. He loves the treats, EBARF Plus and Alaskan Naturals Salmon Oil. I add these supplements to every meal because he loves it all and enjoys his Etta Says Liver Treats. I stopped feeding kibble and definitely made the right switch to the BARF Diet. I am so happy to see that Rocky is acting like a pup again and his skin and coat issues have almost diminished! Manny is doing great on BARF. He loves the food. He's 8.5 yrs old and the people at the park usually guess he's around 3. It must be the BARF! We have been struggling to find a good solution to Daisy's allergies, and recently we made the choice to switch her back to a raw diet. It's a labor intensive feeding regimen for us, so we haven't been super excited about it. But then I found this company the other day who does a raw diet plan, and they offered a 60 day money back guarantee, so I figured, why not try them out! Daisy's food should arrive later this week, but this arrived yesterday. Such a sweet surprise! So far the customer service from BARF World has been impeccable, and this is just icing on the cake. Can't wait to get started on their food! We went through a month of trial and error with other foods trying to stop the diarrhea. Nothing would work for Arrow until we started him on the BARF Diet. After the first day, he was perfect. It was really incredible. I can't say enough about this food- we love it! First let me say that my two dogs are absolutely THRILLED with their raw patties from BARF world. They have never been as eager to eat as they are now. We feed kibble in the AM and raw in the PM, and we have had no issues with loose stools, etc., even when switching from one variety to another when a bag has been finished. Their coats are shinier and we have less clean-up each evening due to the higher protein content in this food. They love it! 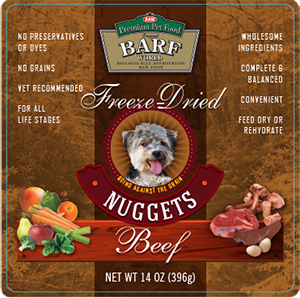 The freeze-dried nuggets are ideal for treats. They wake from a deep sleep and come running from all parts of the house when they hear the bag open. 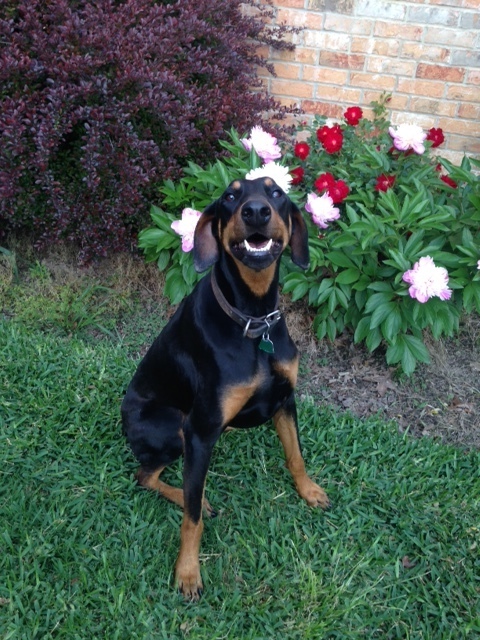 I rescued a red doberman (Dharma) and have been feeding her barf diet and using the E-BARF Plus supplement. Her coat is so soft and it shines, her eyes are bright and she's full on energy. I have looked at other supplements that friends have told me about but none come close to what BARF offers. People always stop me and comment on her beautiful coat. 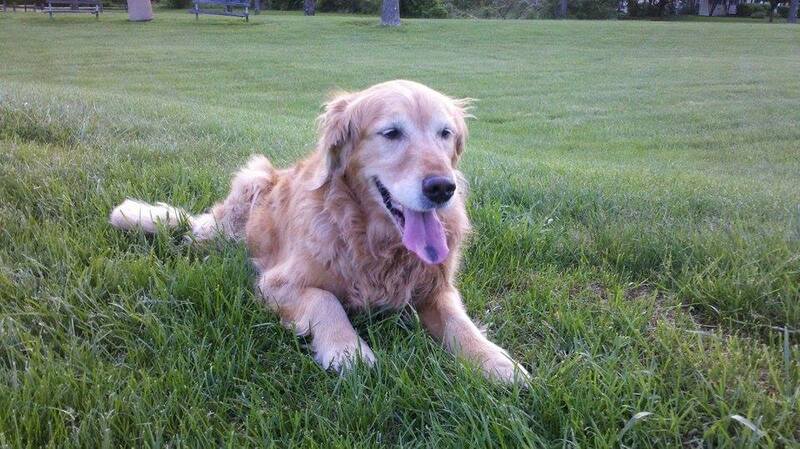 old Golden, Chance - he does ok on dry food, but my conscience made me make the financial commitment finally. Muggs, my English Bulldog, that has been on your diet for probably about 3 1/2 years was having daily seizures for which the vet could find no cause. That is when I dug into the internet and did a bit of research and found you guys. The seizures stopped - she has had maybe 1 per year since I switched her diet - and she is trim and very healthy. I knew the diet would also be great for Chance, but couldn't work out the cost till now. I'm excited for him, I love your offerings. Thanks. My dog Apollo is a very high energy dog but not a big eater. BARF satisfies him and his skin and coat look wonderful. His weight stays where it should be. My husband and I decided to document our Deer–Faced Chihuahua Roadie's, BARF Story. My husband and I decided to document our Deer–Faced Chihuahua Roadie’s, BARF Story. We are certain that it is so incredible and unbelievable if we had not experienced it for ourselves. I don’t know if we would believe it ourselves if we heard of such a remarkable story and great results. was born June 2001, and is currently 13 years old. 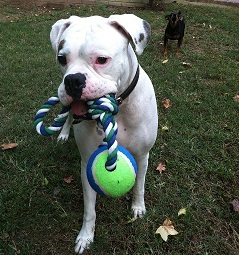 Prior to Dec 2012 Roadie was a happy, healthy, active dog. She played ball, played with her toys, ran the beaches at our lake, barked at strangers and was her own boss. She always had symptoms of reverse sneezing and tarter. We brushed her teeth once a week or so and were able to keep it to a minimum. 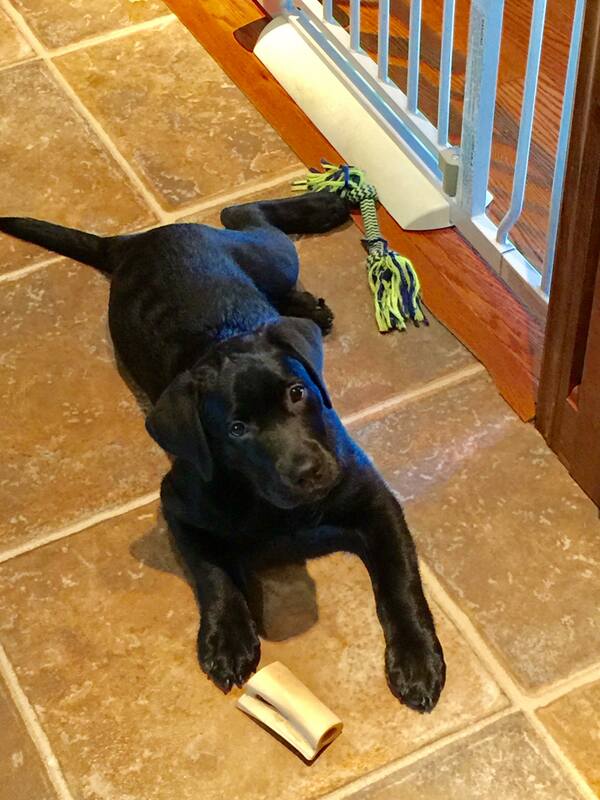 When we first brought our new Labrador retriever puppy home we noticed a few concerning things. He drank a lot, and I mean an excessive amount. I never saw so much drinking! He also went poop all the time. We called him a poop machine. And he was very overweight and had a sour odor. I've been feeding my adult dogs a raw diet for a while, yet I was concerned about giving our growing puppy proper nutrition. That's when I decided to try BARF. It's only been a month and we can see a marked improvement in our puppy's health. He no longer drinks large amounts of water, his stools are more dense and less volume, and his coat has become thicker, softer, and shinier, and he no longer smells bad. I know Labs love to eat but when I see how much he enjoys his BARF patties I can't help but smile knowing all that goodness is helping his body grow up to be strong and healthy. He just looks like he feels better in every way, and I love knowing he is healthy and strong. I have learned so much about the benefits of feeding my dogs raw that I will never go back to kibble. Ollie has always been a picky eater, even when it comes to treats. He only eats ones that have mostly meat, and he never enjoyed the more expensive kibbles that claimed to have higher meat content. But he definitely loves his BARF! It's always all gone within 30 seconds! He'll never go back to kibbles again. When I first contacted you I was a new dog mommy. I had adopted this ten year old rescue and renamed him Buddy. 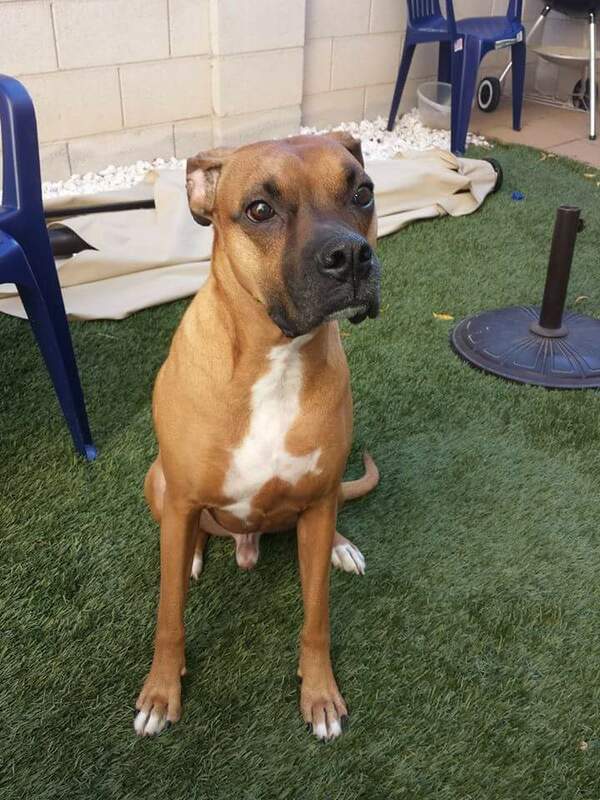 He had health issues, including a major surgery and digestive problems. I was leery of trying raw food but after reading up on it I decided to give it a try. Am I glad I did. His digestion, mood and demeanor have all changed for the better. Every day as I move to give him his bowl he looks up and licks his lips, his eyes shining. He's my little old man with renewed energy and big dog attitude. Our little prince. Thank you. Tony has been eating Barf since he was a puppy. Its the only food he has known, as his breeder started him on it. He is 10 years old in June and has been healthy and happy with his food! 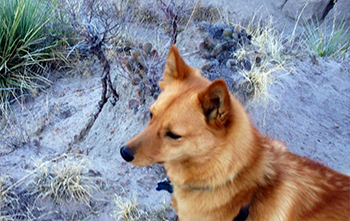 Taika is my Finnish Spitz who has been on BARF all her life. It has just been easy. Her digestion is great, her weight is great, her energy is up, up, up always! It's so easy to prepare- I'm just delighted on all accounts. Her coat is glossy, which is due to proper nutrition. She has a good immune system. 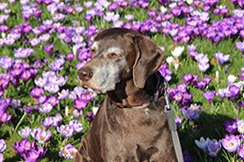 Eating correctly certainly bolsters one's health and she is a walking example of canine health. I recently ordered the BARF diet for my 4. 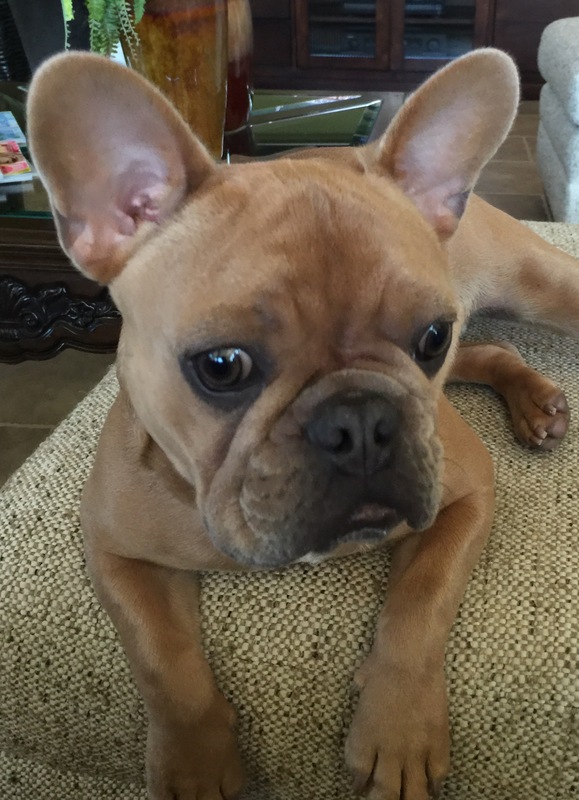 The change in Mr. Pickles has been extraordinary! He is a new dog since I changed his food to Barf. He has been a long time sufferer of pancreatitis. He was always bloated and uncomfortable, he would cozy up to you and as soon as you would pet him he would get up and walk away. Poor lil guy was probably so uncomfortable he didn't want to be touched. Now he's so much more loving, the bloating is completely gone, and he has his puppy figure back. Also, his coat is so soft and he's got that puppy skin! He is loving long walks and he is loving to play again too! I swear, he's a new man! I can not thank you enough Barf! This is our new puppy Otis! 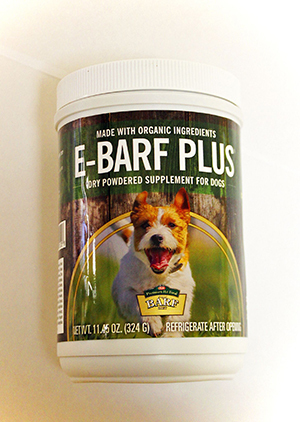 We began using BARF for our older dog Nicholas, who was plagued with allergies and digestive problems. He could clear a room with his gas. But after the BARF diet, he never had an episode of gas or diarrhea again. He thrived and so did all our pups. Strider has been eating the BARF Diet for years. He loves it. We tried the food for his health and skin issues. Since on the raw diet, he has become a very healthy dog. Lucky was a digestive nightmare when I adopted him. He would only eat 1 meal a day. I tried several different foods and even cooked for him. Once I started BARF he had more energy, no lethargic behavior and is excited to eat. Thank you Barf World. 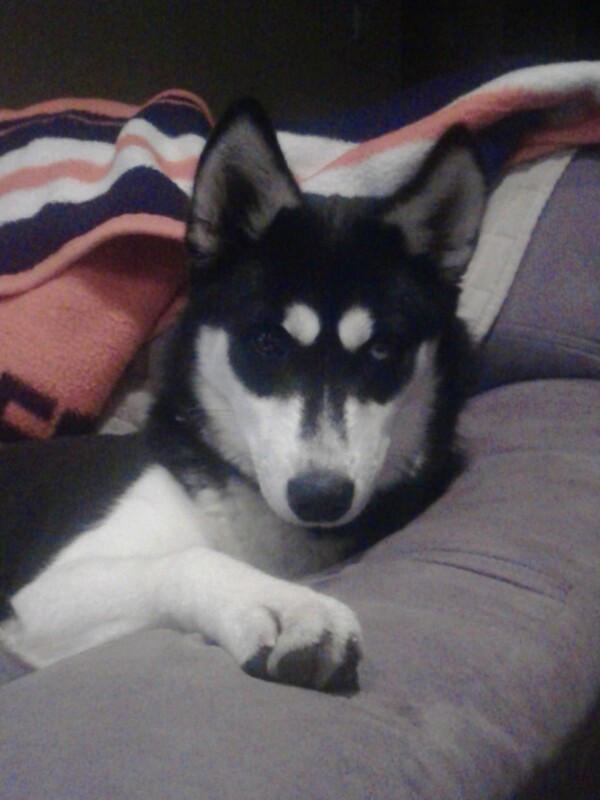 Skyler Blue turned 1 year old the end of June. My dog Kylee has been on the BARF diet for over a month now. She has lost weight and seems more satisfied. She even reminds us when it's dinner time by barking at us. When I am preparing her meals she comes running in and sits right next to me sniffing the air with anticipation. She eats every bit and begs less for additional treats. In fact she now sometimes turns down grain based treats. I believe by her behavior that she is more content and happy. It just makes good sense to feed raw. Since dogs ate raw meat for thousands of years, and we tried to switch them to grains which are not their natural diet. Noah could not stop itching, and his attitude was very bad. He was in training constantly, give him an inch and he would take a mile. The only thing that stopped his itch was prednisone and antibiotics for sores. I originally started on the BARF diet for my labs. I didn't like the foods you could get in stores because of all the garbage in them. I was dissatisfied with the food that they were getting so I started researching a better diet for them. 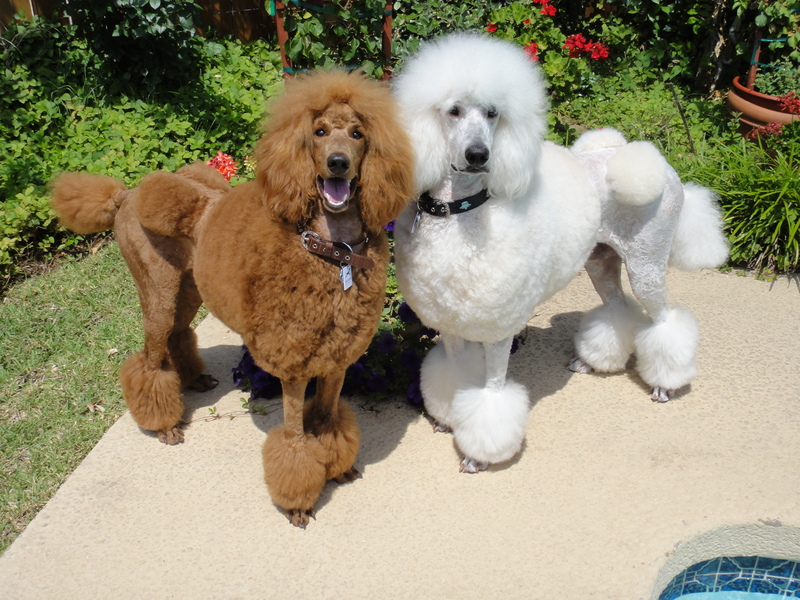 They did well on it and now both of my poodles are on it too! 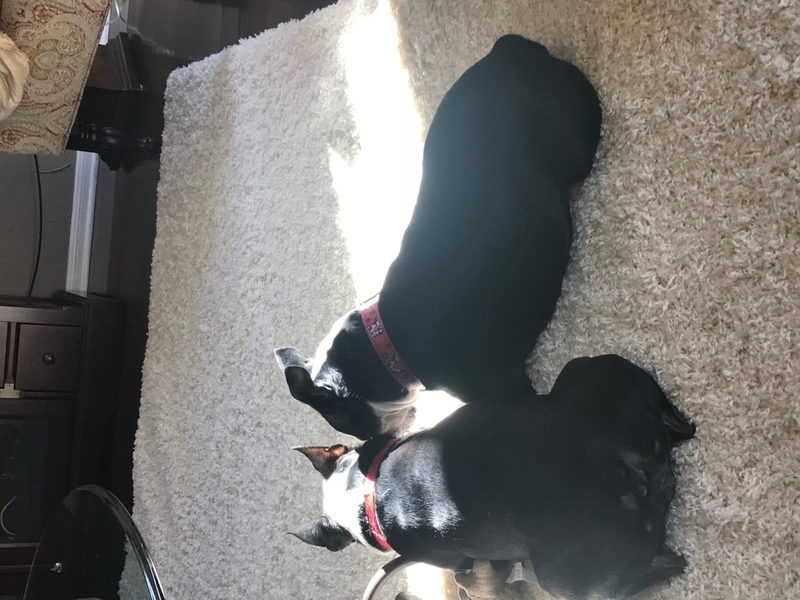 Their energy and the life quality of my dogs has been the thing I love the most about the diet. I heard about raw food through my chiropractor, who had her older dog on the raw diet. She said that he improved so much on it. 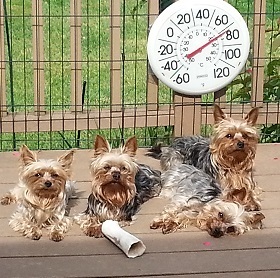 I have had problems with all of my previous Yorkies. They all had health issues. I knew I had to do something and got them off the commercial food. BARF came up when I researched it. I ordered the books and got the diet. Truthfully they are doing great now. Our family is hooked on BARF. Honestly, I have fed my dogs BARF from the beginning because I wanted only the best for them. They love it and are happy and healthy, so why change a good thing! During the first six weeks I had Cissie, I had a hard time getting her to eat. Gene (previous owner) also had had a hard time getting Cissie to eat. My daughter, who is into traditional foods, told me about this dog food she had seen online that was biologically appropriate raw food for dogs. In fact that was it's named - BARF. We laughed at the name, but we were happy to try it. That was October of 2011. Cissie loved it. In fact, I had to start giving her breakfast before her morning walk. We'd be a couple blocks away from home, and she'd just take off for home wanting her breakfast, running across streets before I could catch her. She loves BARF as you can see in the video. 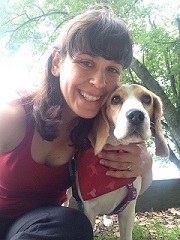 I'm so happy to say that Cissie is now one happy, healthy dog! Thank you, BARF World for your part in that! Mars is glad that we have returned to the BARF Diet. Chico loves this food - he gobbles it up in two seconds - it has done wonders for his digestion. I have been feeding BARF for a long time now. 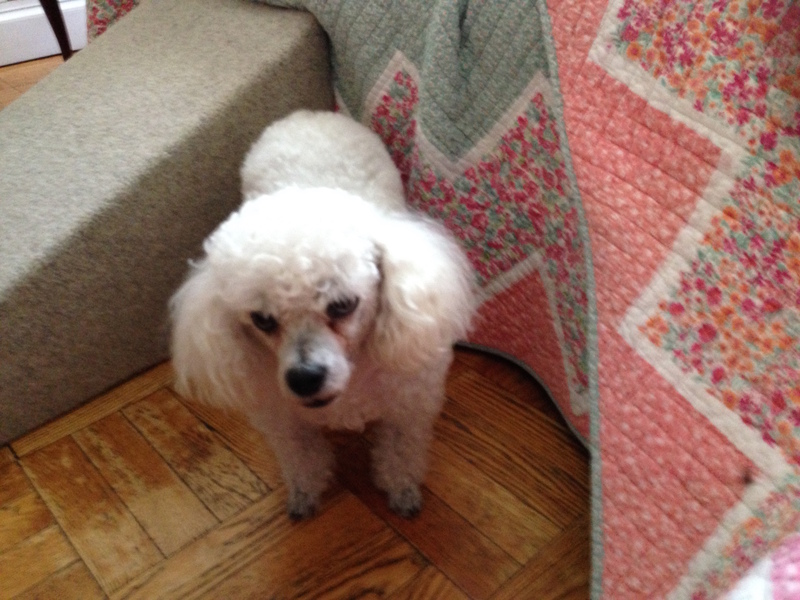 We started on it because Lucy, our mini poodle, was having terrible digestive problems. She had a crisis and had to be hospitalized. She was vomiting and losing weight quickly- just wasting away. We had to force feed her just to keep her alive. But she came out of it and now she is doing as best as she can possibly do. I think the change to raw saved her life! My 3 dogs, Tucker, Geronimo and Butch are all doing well on this food. I rescued Fritz last year. A good friend who feeds raw, recommended the BARF World site. She said that feeding raw really made a difference in the rescue dogs that were coming in. I could definitely tell the difference in his stool. It was much more condensed. I live in a condominium and have to pick up after him when we walk all the time. It was a good difference to see. Kaylie has never wanted to eat much of her dry kibble over the years and basically starves herself unless we add a treat or something from the table to her food. I was always concerned about her health due to Kaylie refusing to eat her meals or from Kaylie eating too many treats or eating food from our table that may not be optimal for her. After we started Kaylie on the Barf diet she has been very excited to eat her meals and she scarfs it up so quickly! She never misses a meal and since she was on the lower end of her weight range, Kaylie is now gaining a couple of needed pounds! Meal times are no longer a struggle for me or for Kaylie! We are so very happy we found out about the tasty and nutritious raw Barf diet for our precious Kaylie! My sweet baby, Desoto, a 6- year old puggle, has started having energy level issues. This was a dog that used to run 5-6 times a week. I used to roller blade and bike with him since he was a puppy. 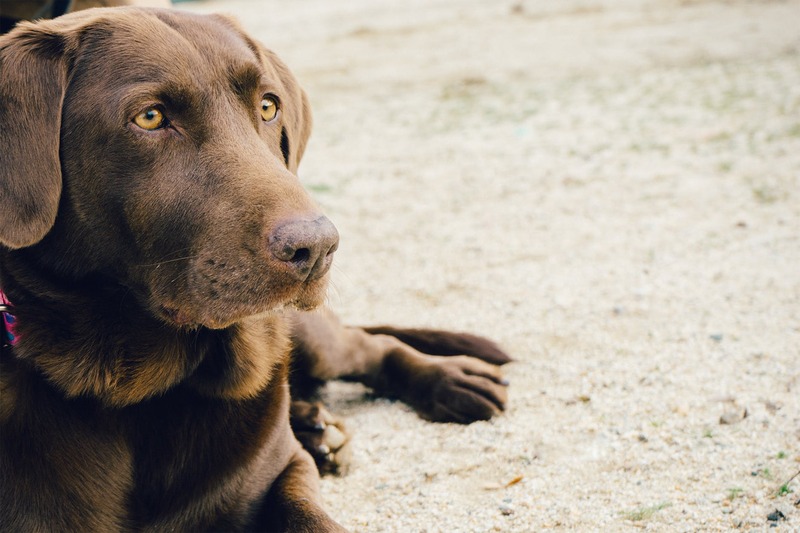 I have done some research about the dog food that we can get in the pet stores and realized what kind of garbage is put in it and how it can harm the dog. I have tried to switch Desoto to a Vegetarian dry food, hoping that it would have less toxic ingredients. After about 2 years on the Vegetarian food, he started to loose energy, sleep more and was not interested in walking at all. He was definitely missing something in his diet. 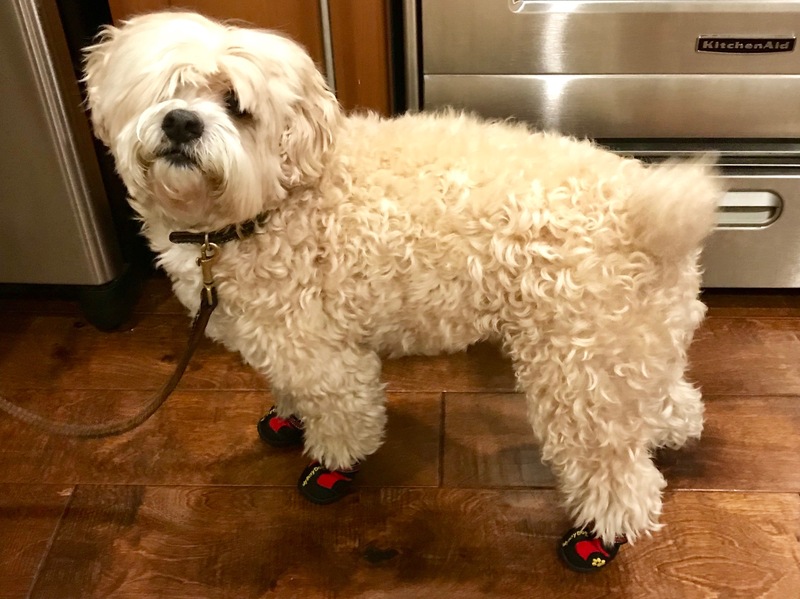 I have learned about Barfworld through Justin and Kate at the Extreme Health Radio and the success they had with their dog, Maggie, eating Barfworld formula. I am so thankful for them because I would never know it existed. I am so thankful that some company today cares enough for the animals and is doing something about it. It is the highest quality dog food on the market right now. That is all I want to do for Desoto, the best. He loves his patties and liver treats everyday. I noticed his coat is more shiny and his teeth look better too. Al at Barfworld is doing an incredible job, the customer service with this company is through the roof. What was the last time someone called you each month after you have purchased something to check up on you? It was the first for me. I am so grateful and I hope that Barfworld will continue to grow and get more customers. 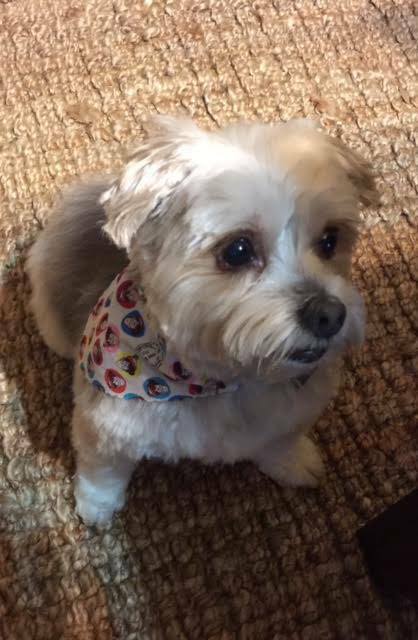 Bentley was diagnosed with Pancreatitis in Oct. 2015. I did a lot of research on finding ways to treat this and his weight issue. I had him on some other diets that weren't working. I feel very fortunate to have found this product. He has been on this for little over a month and he is doing fantastic. His weight is down and I will be taking him to his Vet in June to have is blood work done to see what his levels are. I do believe they will be much better than they have been as I can certainly see how well he is doing and how much more active he is on the BARF diet! Sage is in love with her BARF food. She can't wait for meals. In fact she wakes me up in the morning to get her breakfast started. She is definitely a happy BARF customer! 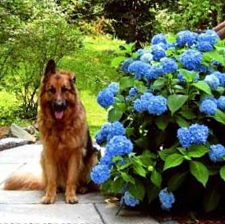 In 1994 I had 2 GSD's with various & serious health issues. No conventional treatment seemed to work for them; in fact, their health continued to get worse. While in a pet store one day, I was browsing the book section & read about the benefits of a raw natural diet. I didn't know anyone else who fed BARF at the time & my vets wouldn't recommend it, but I figured that my dogs were so sick, I had nothing to lose. So I bought the book, took the plunge ~ & although I admit I was a little scared, I started feeding bones & raw food. I remember my dogs' first meal. They gobbled it down, their eyes rolled back in their head with joy & their expression seemed to say, "Mom, what took you so long?!?" Almost immediately their health began to improve, & within a couple of months their health problems just gradually seemed to slip away. At that time, my dogs needed various supplements. I used to buy these at the health food store & spent time wrapping each pill in Velveeta cheese to make it palatable, but this was very time-consuming. Years later, I came across the BARF website & learned about their powders. 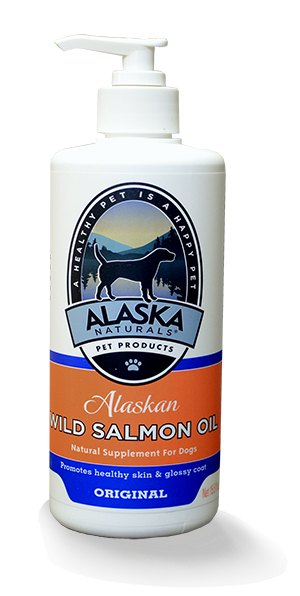 I switched to the E-Barf Plus & the Alaskan Wild Salmon Oil & life has been beautiful & so much simpler ever since. My dog loves the BARF supplements which I simply sprinkle/stir into his food. 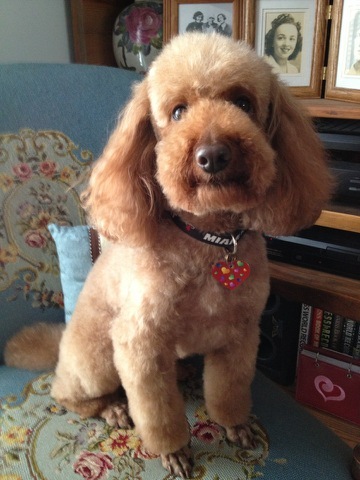 Right now my only dogchild is Rousseau, age 5 1/2, a red miniature poodle who is thriving on his raw natural diet. Hooray for BARF food & supplements! Hi - My name is Pink Floyd and my little sister is Pink Martini. Our breeder started us on raw food and our Forever Mommy decided because our coats were so beautiful that she wanted to continue to feed us raw food. After hours of research and many attempts to make our food (which my Daddy thought was funny because she didn't cook for him), my Mommy found BARF. I remember her laughing and thinking the name was catchy. She loves the ease of feeding us the patties and we love them! The treats she also buys, make us jump for joy and man, I can really jump! We are so healthy that our Vet doesn't get to see us much. Hee, hee! Thank you BARF family for producing excellent products that make us healthy and feel loved! Oh and our Mommy thanks you also! One of our yellow labs, Scotch, can be quite the picky eater. He gets bored with his food and doesnât always eat at mealtimes. So we got the Etta Says! Treats Liver Sprinkles Protein Powder and started topping his food with that and now he gobbles it right up! ? Hank was all we could ask for when we brought him home. A beautiful 12 week old Merle Great Dane. We loves everything about him, his massive paws, loving eyes and playful persona. What we didn't like was the mess he left in our yard. The BARF diet has made a huge difference! The clean up has greatly improved, leaving us more time for play and less time for chores! 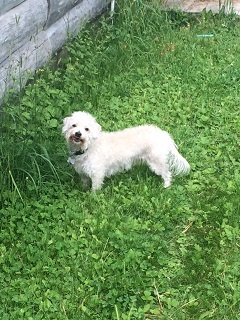 My Bichon Angel had been on a dog food prescribed by the vet for bladder stone problems. 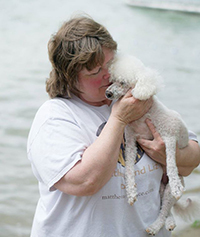 She had almost died when she was just 5 years old from 2 bladder stones that were blocking her urethra. She had to have surgery. For the next 9 years she was on the prescription food recommended by the vet and she did not have bladder stones again. However, she did have re-occurring ear infections, bladder infections that were hard to heal, constipation, hot spots, itchy and inflamed skin, as well as a dislike for the food! When Angel was 14 years old she was very ill, literally dying before my eyes. She did continue with the bladder infections but her blood work did not indicate why she was so ill. Her stomach was bloated and she was very sick. She had cataracts, was incontinent, and had horrible hot spots along with a continual itch and inflamed skin. what do you feed your dog? I honestly believe with all my heart the illnesses our pets are dying from are directly related to the commercial food we are feeding them! I will have another dog again, not yet, it is way too soon. I miss my Angel Marie more than my heart even knew it would! But I can tell you the next time I get a dog, that dog will be on BARF/RAW from the START!!!! Thank you to all at BARF World! They are so supportive and helpful with EVERYTHING I went through! From the beginning of putting Angel on raw to the very end when I had to work hard to get her to eat. They are GREAT! They really do care about you and your pet! God Bless! CIAO! 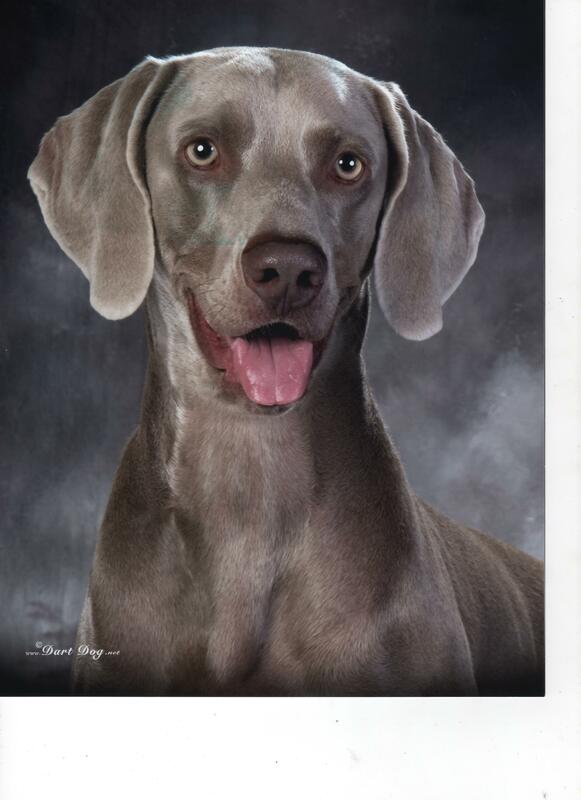 This testimonial is for you Angel Marie Schermerhorn, so your story can save another fur mom and or dads baby!!!!!! Love you baby girl! Mom! 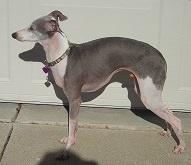 Comet's coat was dull and he was very thin when we became his foster family a few months ago. 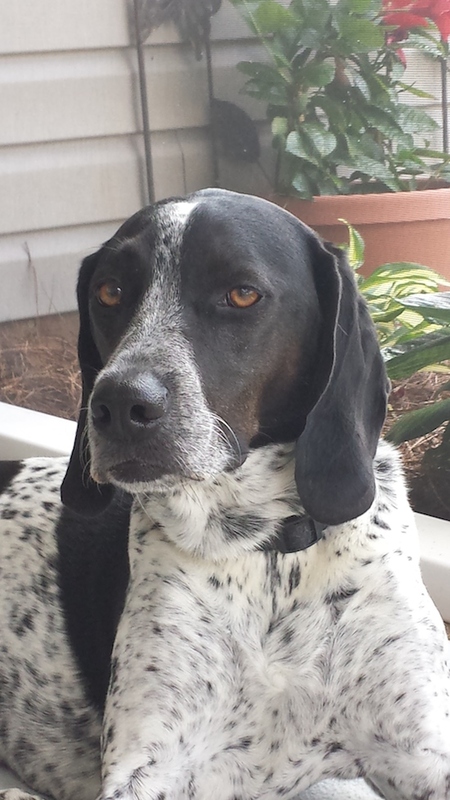 He is a very energetic one year old English Springer Spaniel. When we changed him over from kibble to the BARF diet his coat became glossy and soft. Over the last month, by adjusting the amount of food we feed him to meet his energy requirements, he gradually is gaining to a healthier weight. 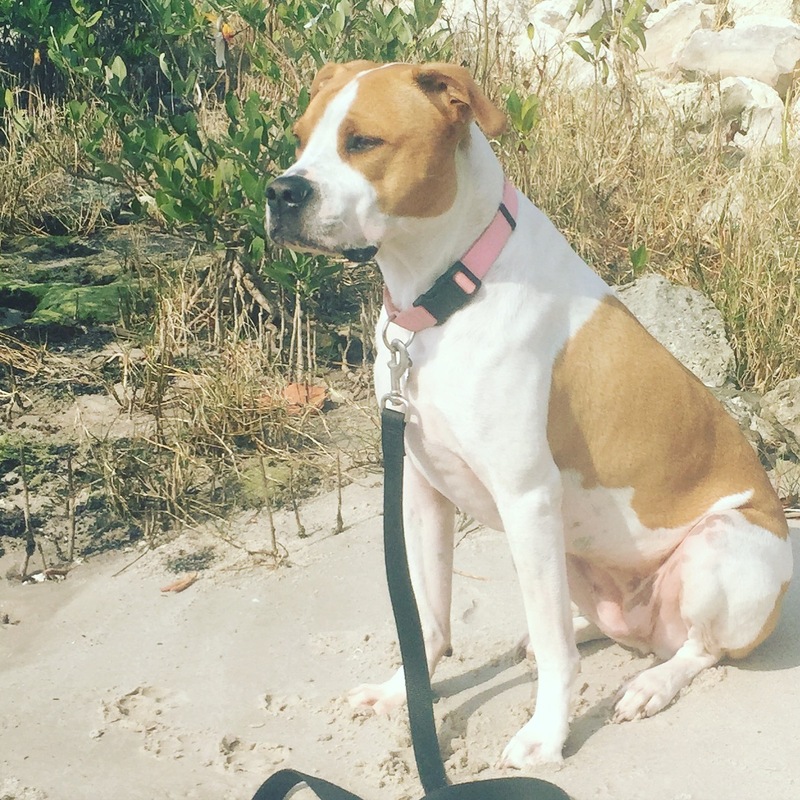 Since I adopted Ginger, I was feeding her a high quality kibble, but soon noticed she was gaining weight and it wasn't due to lack of exercise. When I asked my vet he just told me to feed her less and walk more. That really didn't sound right or add up in my mind, so I did some further investigating and asking a friend/breeder, who told me about BARF. Since switching to BARF Ginger has lost weight and is more healthy than ever! 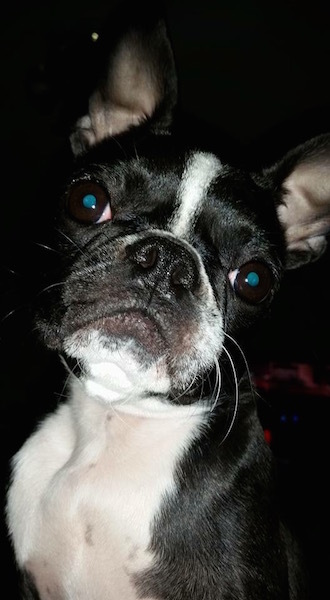 I thought it was normal for Lily to poop 6 times a day. Now that she is on BARF she poops a small firm amount only two times a day. I can't believe it! Prior to BARF she had soft serve stools and now they are completely firm. It only took one meal too! Before BARF Gibson was having facial ticks when he would eat. Since eating BARF they have almost gone away. Also his breath is fresher and his much smaller stools. BARF has really made a difference! In preparation for our new puppy, Kenny, we started Ollie on Barf about a month before Kenny's arrival. We were concerned about Ollie's energy levels at 12 years old with the introduction of an energetic puppy. Ollie used to sleep often during the day. After 6 weeks of Barf, his energy level has increased and he is playing often with Kenny! In fact, sometimes Kenny is ready to be 'done' with their play but Ollie is still going strong! 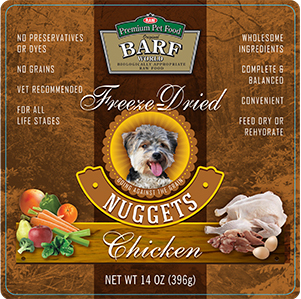 I am absolutely thrilled I can keep the freeze-dried nuggets in the pantry. 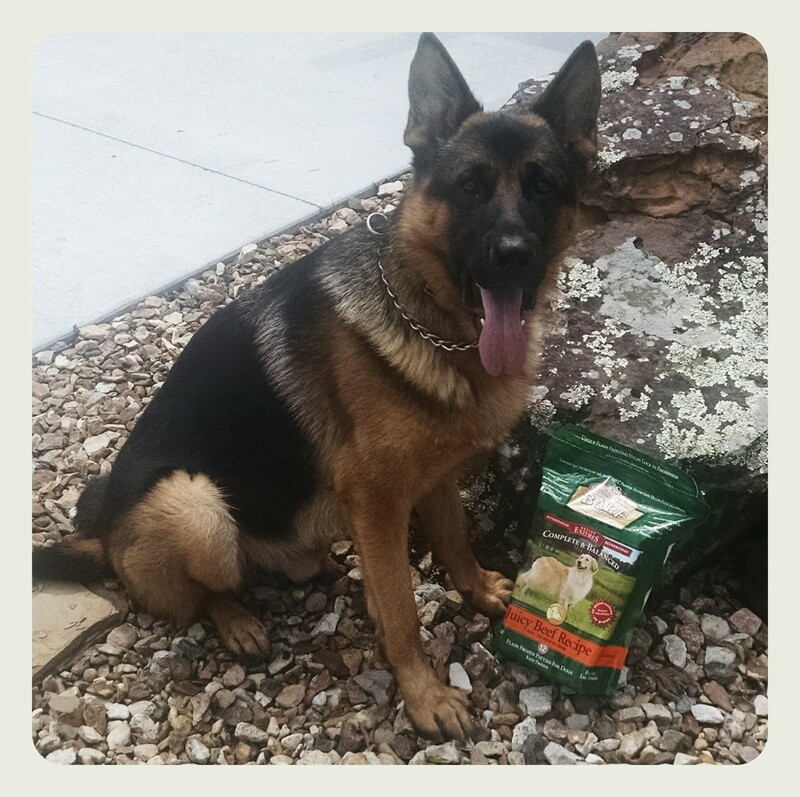 My German Shepherd loves it and can't get enough! We have already gone through the one bag I ordered to try. You guys are so helpful! 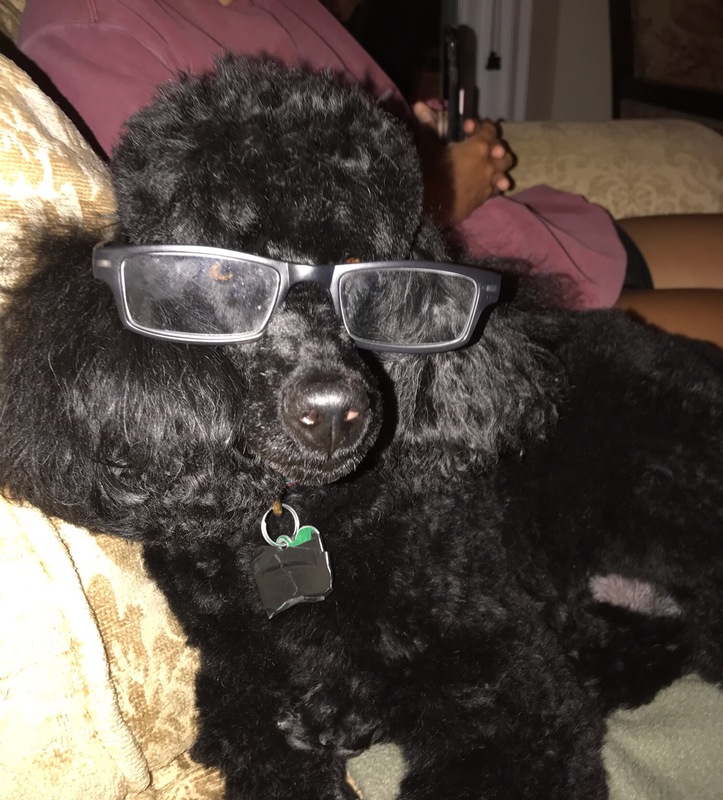 My dog is an 11 year old standard poodle. Prior to beginning the BARF diet he was losing weight and becoming tired while eating his previous diet of dry food due to the time it required him to stand up and chew the dry food. As a result of his fatigue he rarely finished the amount of food he was supposed to get for his size. With our switch to BARF he now eagerly eats all the food that is correct for his size. His weight has returned to his ideal goal and he has good stamina and energy. He will be 12 years old in a month and is going strong. 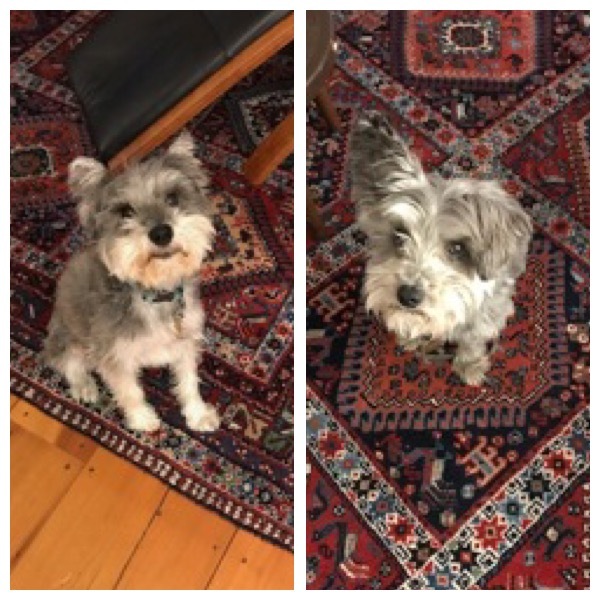 My dogs, miniature schnauzers, have both been afflicted with bladder stones and were gaining weight, no matter how much I cut back on their kibble. 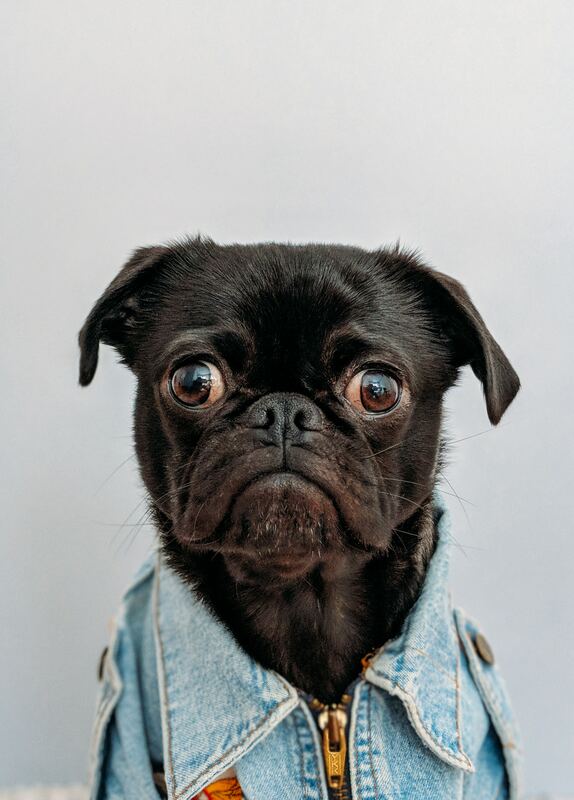 I had been impressed by the health of a friend's dog who had been put on a whole food diet, and after some research, I found BARF. It's been nearly two years and they are at normal weight, have wonderful coats and no longer have issues with bladder stones. I love BARF, and, more important, so do the dogs. My vet is not convinced but can't argue with the results. Isis was always on a raw diet but something happened with a shipment of food not showing up, forcing me to buy more people food, which leads to tons of money! i went searching online for other options and my heart literally went to my stomach when I found BARF world! You are not only cheaper, but quicker and even more convienant. Isis cant wait for meals and loves your food! I'm thrilled that your company cares so much about the health of my dog - it makes such difference! 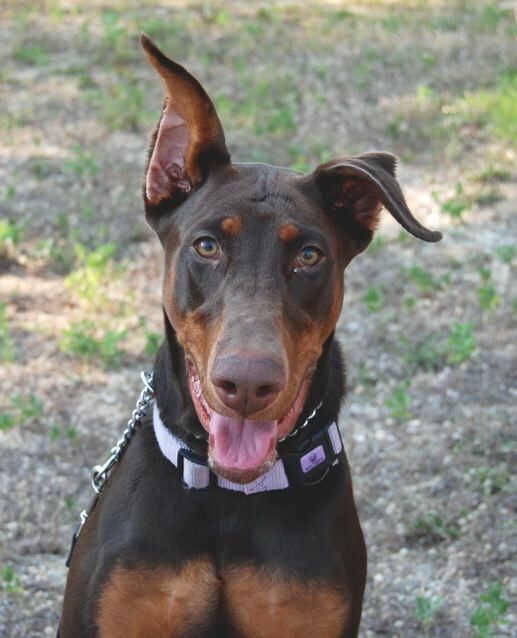 Wendy is a 5 month old Dobie. She had a urinary tract problem of very frequent urinations. I changed her diet and gave vet prescribed antibiotics for 2 weeks and now she seems to be normal. She also gained 9 lbs in 1 month. I plan to continue the BARF diet. I just want to say THANK YOU to Al, Evan and Rob at BARF World. I have two dogs. 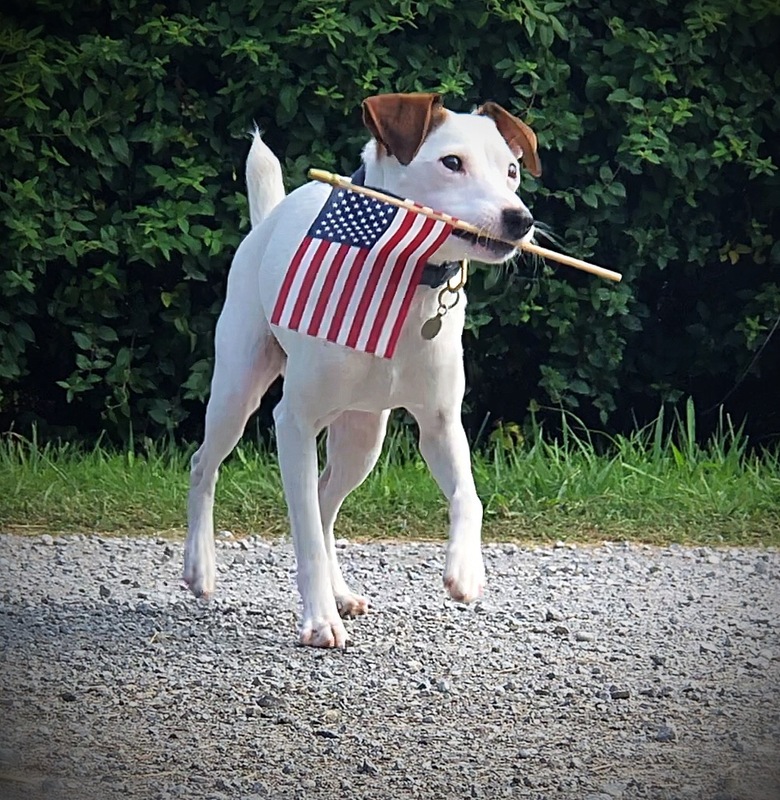 Koda is my fun loving and spunky 10 year old Jack Russell Terrier who loves to be outdoors. 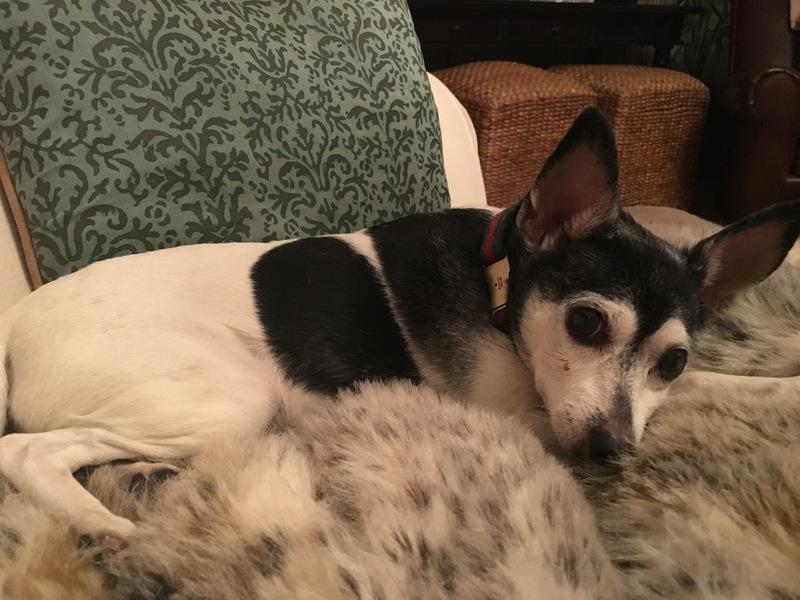 Bandit is my 8 1/2 year old Tri-Colored Rat Terrier who loves to cuddle, give kisses and talk to you as he is getting his rub down. 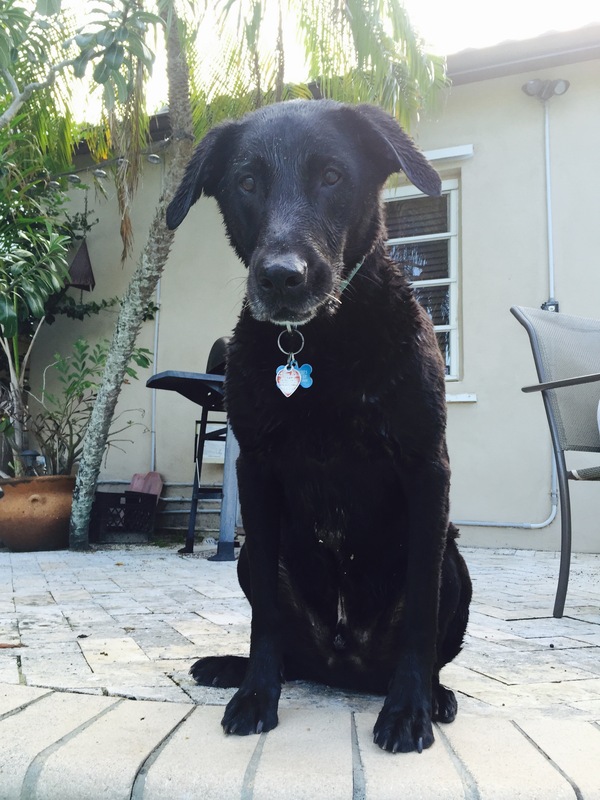 Bandit was diagnosed with Lymphoma Cancer in June 2014. Our world changed that day...each day has now been a journey to help Bandit overcome and beat cancer. One stop on our journey was a diet change. I was very skeptical and concerned about feeding raw. I wanted to make sure this change was good for both dogs. Al, Evan and Rob have been very informative, helpful and patient with me on every phone call as I sought answers to every question, doubt and concern that I have had along this journey. I am pleased to say that Koda and Bandit love the BARF food and eagerly await each and every feeding. 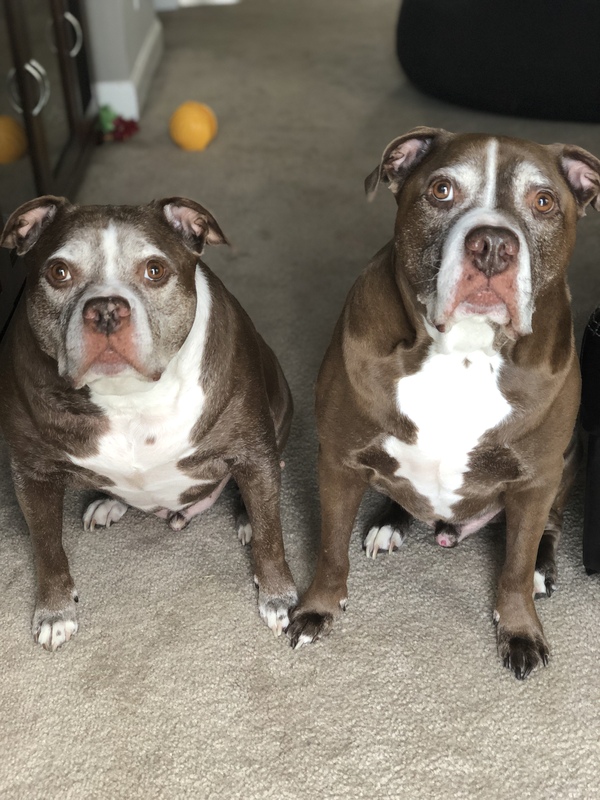 We are very pleased with the overall health changes and the results this food change journey has given to both Koda and Bandit. 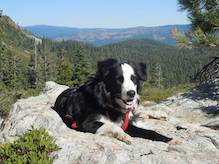 This is one stop on our journey that is helping Bandit overcome and beat cancer. THANK YOU BARF WORLD!!! I have noticed their weight is now in line - they have little waists now. There is a little less itching and no gas. Poops are awesome now! They are smaller and seem to disappear quicker than I can pick them up. Your hard work on balancing the perfect diet has made a significant difference to my fur baby. 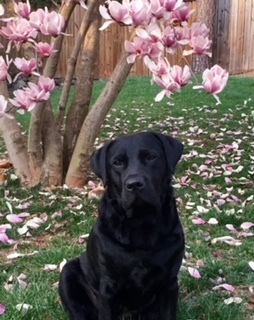 We have a beautiful, sweet English black Labrador named, Camie. 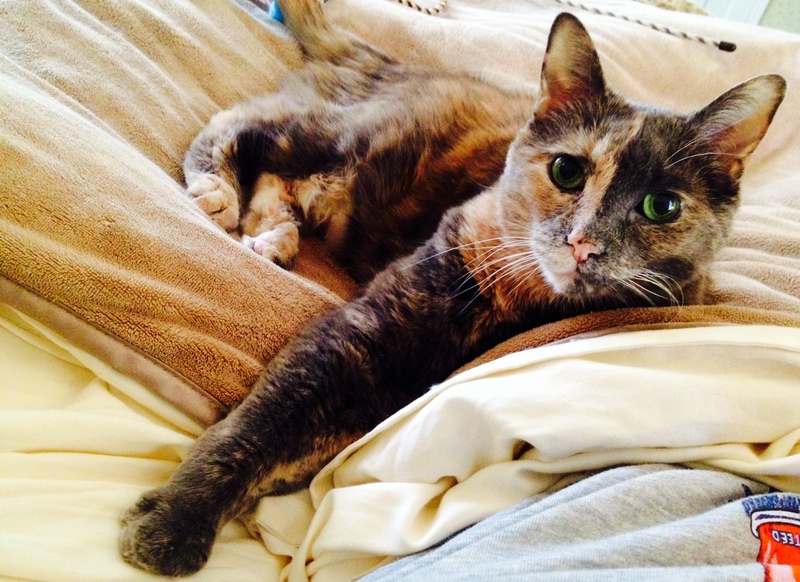 At age 18 months old she began to experience fur loss on both sides of her body. Our vet suspected a food, hormonal or environmental allergy and we start with changing her diet. After trying a few different dehydrated, grain free brands, with no result, we decide to contact her breeder to see if they had seen or heard of fur loss on any of their labs. She asked me about the food and treats I was giving Camie. To my surprise Everything I was giving her was high in starch and sugar which, as a result, contribute to a yeast infection on her skin and inner ears. My poor little girl was losing fur, itchy, with a dull/course coat and had an ear infection! 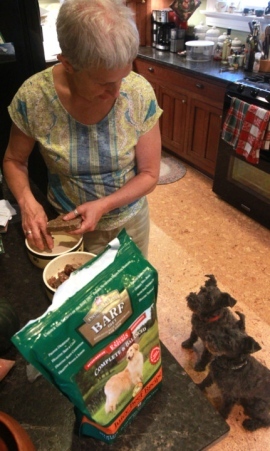 Our breeder highly recommended that I switch to BARF raw food and explained all the ingredients and benefits. I immediately called the friendly staff at BARF World. A Raw Food Specialist explained how the shipment would come in a Styrofoam container on dry ice and that I have the option to place orders online at my convenience. At first I thought, "This isn’t going to work". We live in an RV full-time, are rarely in the same location (not to mention the limited freezer space) and sometimes lack Internet service. Well, let me tell you...they make it simple!! When I don’t have Internet service or have a specific delivery location, I call the friendly team at BARF World and a Raw Specialist takes care of me! They are always very kind, helpful and never miss an order. Two days later, I received my first order. I couldn’t wait to give Camie her Juicy Lamb Patties. Of course, she loved them right away! We call them Her "hamburgers". She gets so excited, sometimes I swear her tail is going to wag off! With in six months Camie’s fur grew in thick, shiny and soft. She no longer is itchy and her ear infection is gone. Finally she is healthy, happy and back to being as beautiful outside as she is within. Thank you BARF World and staff! Tania, Mike and Camie K.